Attracting high-quality staff within your budget is getting tougher as more companies enter the market. If you want the best talent to even look in your direction, you need to step your recruitment game up a few levels — and this begins with using technology to improve your recruitment process. Recently, Venture Capitalists have figured out that serious money can be made in HR technologies — investing about $2B in the last year alone. Many of these technologies are designed to improve the recruitment process by helping HR professionals research, qualify and reach out to potential recruits with ease. Bersin by Deloitte’s 2016 report further explored the influence technology had on the state of HR and emerging trends to keep in front of mind for 2017. However, keeping up with recruitment technology trends is both difficult and time demanding. There isn’t much press out there distinguishing the necessary from the ‘nice to have’s, so we’ve shortlisted a few current and up and coming recruitment tools to keep an eye on. Do I even need to introduce LinkedIn? Of course not — every HR professional uses it, and so does nearly everyone else… If you’re not using LinkedIn, chances are you’re probably still living in the stone ages where computers were the size of small apartments (or am I’m talking about the 1950’s?). LinkedIn has recently added a new service called Open Candidates. It’s a new way for LinkedIn members to tell recruiters “Hey, I’m looking for a job, and I’m open to being recruited, swing a message my way”. With LinkedIn Open Candidates, you can now zero in on leads who are much more likely to respond to outreach, learn their interests upfront, and disqualify anyone that isn’t the right fit for the positions you need to fill. We were talking about HireVue when we mentioned that Venture Capitalists are investing heavily into HR tech. Having received a total of $98M, it’s easy to understand why investors have put so much on the line when you see what they do. HireVue calls themselves “Team Acceleration Software”. They allow companies to hire, coach and capture data on future hires and current employees. This may not seem so revolutionary now, but wait until you hear how they do it. There are two main areas of HireVue; The Build Phase, and the Coach Phase. As you can probably guess, the build phase is where you build your team, and they have many features that let you do just that. They’ve broken the Build Phase down into three sections; Attract, Identify and Select. Each of those sections have their own unique tools in it, like video interviews and audio and visual analytics to help you make the right decision. The Grow Phase lets you coach your teams and breaks it down into three sections: Ramp, Execute, and Expand. Featuring tools which digitally train your team with custom solutions that are designed to cause lasting lessons with each team member. Overall, HireVue takes a load off your shoulders by optimising your recruitment and training processes. Glassdoor is a popular “job marketplace” which prides itself on transparency. By allowing you to see real salaries and reviews of the company you’re applying to, it helps you to make an educated decision on whether or not you want to work there. But it doesn’t stop at employees. If you’re the H.R head or an executive at a company, you can use the reviews to help evolve your company culture, leadership style or even solve underlying issues that may not be visible from your position. By viewing the most popular and highest rated companies on Glassdoor, you’ll notice there are many similarities among them. This means you can work on adapting these same philosophies to your business, picking and choosing what will work best, and improve your company culture. Think of your Glassdoor reputation as free P.R — If you work on increasing your rating and showing your company cares for your employees, more qualified candidates will want to work with you. But what if you get a bad review? Well, you should respond to it accordingly. This means you need to work on fixing it if it turns out to be a common problem, reply to the review and try to solve it. As long as you show you care, current and prospective employees will notice. The problem with recruiting is that talent is sought after by a lot of people. The applicants who stand out to you, stand out to everyone. So, sometimes you may need to settle for those who don’t appear perfect on their resume. When this happens, you find that you’ll need to screen your applicants, and Lytmas was created with just this in mind. Made for companies hiring web developers, Lytmas has changed the way you screen applicants. With what use to be a take home or phone screen test, Lytmas allows you to develop your own tests that are relevant to the position you’re filling — or use a pre-designed test if you’re short on time. If you’re hiring for an I.T role, then Lytmas allows you to test applicant skills online, and view their exact thought process with a screen capture that you can view immediately after the test. Need to fill a job quickly? Well, Talent.io does just that. Designed to fill jobs within one week, it’s incredible for the time-hard recruiter, employer or HR head — and for those looking for jobs. Talent.io does things a little differently. Instead of job-seekers applying to companies, companies apply to them. But why should you care about that? Well, now you can sort through potential applicants via skill, experience, and any other filter you deem necessary. Rather than getting swamped with 100’s of unqualified applicants, you get direct access to only the best talent in your country. Bringing the AI game to recruitment, Textio is an up and comer that predicts the hiring performance of text before it’s published, and aims to provide guidance on improving the post. Sounds pretty skeptical, right? We’re on the fence too, but with companies like Microsoft, Atlassian and Thomson Reuters giving it a crack, it’s definitely worth exploring. The app synthesises job text and outcomes data using listings from over 10,000 companies, with algorithms picking out the jobs that fill the fastest and generate the most interest, sifting out patterns that work. When you upload a post, Textio runs a comparison against its database and gives you a score, a summary of pros and cons, and suggestions for edits. There are plenty of HR recruitment tools that can help you find a good employee, partner or executive, but what really matters is the person behind the application. When interviewing a candidate you need to ask questions that provide deep insights into their personality, mental processes, and how hard they’ll perform on the job. To help screen out poor quality candidates, we’ve put together our Top 10 Senior Executive Questions. With this guide you’ll get a clearer reflection of which executive to secure as a future leader of your team. Click the image below to get your free copy. 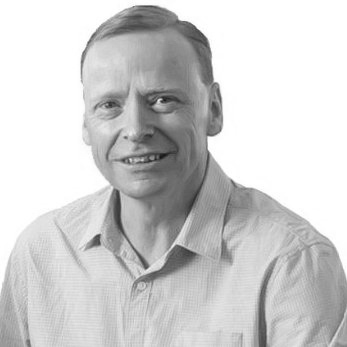 As a Partner in our Auckland office, Andrew is fascinated by the future of work and brings more than 30 years of senior Human Resource experience in executive and consulting roles in New Zealand and Australia. Andrew has built a successful career in providing customer and human centric solutions across a diverse range of organisations, including Spark NZ, Fonterra, Suncorp, QSuper and Genesis Energy.